1. This agreement is a running account credit facility to enable you to finance insurance premiums, related costs and expenses in connection with policies of insurance (“Policies”) arranged from time to time through your insurance broker (“Broker”) with an insurance provider (“Insurer”). You agree that we may make payments for Policies to your Broker or your Insurer which we will do within 28 days of our signing this agreement, and by this means credit will be provided. 2. If you are a corporate body, other body to which the Consumer Credit Act (“CCA”) does not apply, or the credit limit exceeds £25,000 and you enter this agreement in the course of your business all statements of rights that apply under the CCA will not apply to you. 3. This agreement shall be dated on and become effective and binding on the parties from the date of your signature or, if earlier, the date you first make any payment under this agreement by which you will confirm acceptance of the terms and conditions of this agreement. 4. We will open an account in your name. 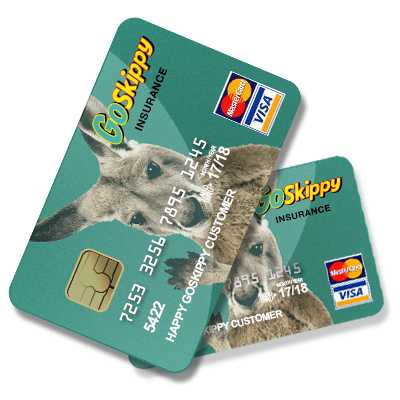 All sums you draw down under this agreement and which become payable by you will be debited to the account and all payments made by or on your behalf will be credited to it. 5. You shall on the signing of this agreement pay the Advance Payment (if any) and you shall pay us the repayments on the dates we advise either when you enter into this agreement or when the repayments are varied. Punctual time of payment, and compliance with your other obligations, are essential terms of this agreement. Unless otherwise specified in this agreement, all repayments must be paid by direct debit. Any administration fee specified in the agreement will be payable as part of your first repayment. 6. We may vary your monthly repayments at any time to take in to account any refund received on the cancellation or adjustment of an insurance policy, any proceeds received in respect of settlement of a claim under an insurance policy, additional insurance policies financed under this agreement, or a variation to the rate of interest. We will tell you in writing of any changes to your monthly repayment and when they are due. (f) Any information provided by you before entering into this agreement proves materially incorrect. (b) Statement request £1; and a fee not exceeding £50 if you do not rectify a payment failure despite our notifying you of the requirement to do so. 9. You irrevocably authorise us to notify the Broker or Insurer (as appropriate) if you breach this agreement and this breach is not corrected within 14 days of proper notice to you of default, to cancel the Policies and instruct the Insurer to pay to us any rebate of premiums or claims proceeds towards discharging any amounts due under this agreement. 10. You shall notify us in writing of any change in your address as specified in the application no later than 7 days in advance of such change. 11. If we grant any time or other indulgence to you or to delay enforcing our rights this shall not amount to a waiver by us of our rights or of any breach of this agreement by you and shall not prevent us thereafter from relying upon our strict rights under this agreement. 12. Any payments made by post to us are at your own risk. This clause does not amount to a waiver of your obligation to pay by direct debit where you are so obliged by this agreement. 13. Any notice or demand under this agreement shall be deemed to be properly served by us if delivered to or sent to you by pre-paid post addressed to you at your last known address. Any notice served by you on us or our agents shall be delivered or sent by pre-paid post to our address set out in Parties to the agreement or as specified in the relevant prescribed form. 14. We may assign or securitise any of our rights under this agreement and/or any amounts owing under this agreement without prior notice to you (whereupon references herein to we, us and our shall to the extent of the assignment be read and construed as a reference to the assignee). 15. You have a right under Section 94 of the Consumer Credit Act 1974 to repay all or part of the outstanding balance early at any time. You can give us notice in writing or orally. If you want to settle in full you must tell us when you wish to do so and we will give you a statement showing what you must pay. If you want to make a partial settlement we will work out any rebate to which you may be entitled and recalculate your remaining repayments; you may ask us to send you a statement. 16. Should you make a partial early settlement we shall decide how that payment will be applied to your account. 17. Without prejudice to any other rights or remedies available to you under this agreement, we shall be entitled and you hereby authorise us, to deduct the amount of any sum due and owing by you to us, from any amount then due from us (or any member of our group of companies) to you in respect of salary or voluntary selective severance payment, to the extent that this remedy is available in law. (c) For the purposes set out in clauses 18 (a) and (b) we or the other organisations referred to in those clauses may make further searches or checks with credit reference agencies and fraud prevention agencies. Although these searches will be added to your record they will not be shared with others. The credit reference agencies and fraud prevention agencies will also use the records for statistical analysis about credit insurance and fraud. Please telephone us on 0871 376 9200 if you want to receive details of the relevant credit reference agencies and fraud prevention agencies from whom we can obtain and to whom we pass information about you. We and other organisations may access and use from other countries the information recorded by fraud prevention agencies. You have a right also to receive a copy of the information we hold about you if you apply to us in writing and a fee will be payable. 19. You may have a right to sue the Insurer, us, or both if you have received unsatisfactory goods or services paid for under the agreement costing more than £100 and not more than £30,000. 20. We can terminate this agreement (subject to giving you notice under the Consumer Credit Act 1974) immediately if you are in breach of the terms of the agreement. We may also terminate it on 2 months notice in writing. We can suspend, restrict or terminate your right to draw credit at any lime for any objectively justified reason. If we do so, we will write to tell you before or immediately after such suspension, except where we do not have to do so by law. You can terminate the agreement at any time by giving us notice in writing and paying what you owe. 21. If you are dissatisfied in relation to this agreement you have the right to complain to the Financial Ombudsman Service, Exchange Tower, London, E14 9SR. Telephone 0207 9641000. Website: www.financial-ombudsman.org.uk. 22. Telephone calls between you and us in connection with this agreement may be monitored or recorded for the purposes of maintaining and improving our service standards or for training our staff. 23. You hereby acknowledge that prior to making this agreement you are made aware and understand the cash price of the products and/or services. 24. This agreement shall be covered by and construed in accordance with English law unless you lived in either Scotland or Northern Ireland when this agreement was made, in which case the applicable law for Scotland or Northern Ireland (depending on where you lived at that time) shall apply and the terms of this agreement shall bear their nearest equivalent meanings for that jurisdiction. 25. The Financial Conduct Authority, 25 The North Colonnade, Canary Wharf, London E14 5HS is the supervisory authority under the Consumer Credit Act 1974. 26. No amendment or variation to this agreement made by you shall be effective. collect a payment, confirmation of the amount and date will be given you at the time of the request. If an error is made in the payment of your Direct Debit by Creation Consumer Finance Ltd or your bank or building society you are entitled to a full and immediate refund of the amount paid from your bank or building society. If you receive a refund you are not entitled to, you must pay it back when Creation Consumer Finance Ltd asks you to. You can cancel a Direct Debit at any time by simply contacting you bank or building society. Written confirmation may be required. Please also notify us. Credit Limit: £ The credit limit may be varied by us from time to time under this agreement and we will give you at least 7 days written notice of any amendment. 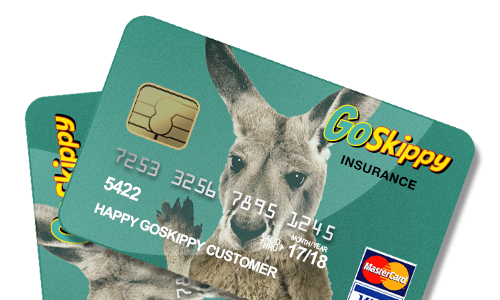 You agree that we may pay the amount of credit directly to the credit intermediary on your behalf to fund the premiums due under insurance policies and related costs and expenses. Draw-downs of credit will be used to fund insurance premiums from time to time. Monthly repayments will commence on and will continue to be payable on the same date of each subsequent month while there is a balance outstanding under this agreement. Each time you draw down an amount of credit or reduce the amount you have drawn we will calculate the amount of your monthly repayments by adding interest, at the then current rate, to the amount of the draw down, taking into account any balance outstanding which is owed at the time, and dividing the sum of those amounts into an equal number of months over which the draw down must be repaid. We will tell you the amount of the repayments and the dates on which they have to be paid. You may make additional payments at any time. After this agreement has been entered into we may vary the repayments in accordance with clause 6 and we will tell you what the new repayments are, and when they must be paid. This agreement has no fixed duration. Interest is added to the amount of each draw down of credit as a fixed sum, and is included as part of each repayment. We can vary any rate of interest or any charge or fee at any time by giving you at least 30 days notice but we will only do so on the occasion of your making a further draw down of credit after the first draw down. We will also only do this to reflect valid costs increases or reductions associated with our providing credit, for other operational reasons with regard to our systems capability, to comply with legal or regulatory requirements, or to reflect market practice. outstanding; that the credit will be repaid in equal monthly repayments, commencing one month after the initial draw down with charges being applied in accordance with this agreement. You are entering into a legal agreement that requires you to make regular repayments. You should consider your ability to meet these repayment obligations. Missing payments could have severe consequences and make obtaining credit more difficult in the future. Legal proceedings and enforcement action may be taken against you for the recovery of that debt and our reasonable legal costs and expenses. We may instruct the Insurer who provided the insurance policy to cancel it. Under the Consumer Credit Act 1974 you have the right to withdraw from this agreement without having to give any reason This right commences on the day after the day you signed the agreement and continues for 14 days from that day. To withdraw you must notify us that you intend to do so by writing to us at Customer Services. Creation Consumer Finance Limited, Chadwick House, Blenheim Court, Solihull B91 2AA or by telephoning us on 0871 376 9200. If you withdraw you will need to repay us any credit already provided and any interest accrued at the interest rate shown above. This sum must be paid without delay and no later than 30 calendar days after giving notice of withdrawal. We shall inform you on request and without delay, of the daily amount of interest payable during the withdrawal period. You must send payment to Banking Department, Creation Consumer Finance Limited, Chadwick House, Blenheim Court, Solihull B91 2AA marked for the attention of Customer Accounts Co-ordinator, or call the number above to pay this amount by telephone. If you withdraw from the agreement once an insurance policy is in place you must pay the premium to the insurer within 7 days. The details provided for this loan are true and complete and may be verified; You have given consent to the searches, checks, uses of my information and information to those that you are financially linked including those made at the date of this agreement. You have the right to know how we use your personal information. Please read the “Use of your information ” notice under clause 18 overleaf before you sign. We may send you information about products of ours and others which may be of interest to you. We may pass your details to other selected businesses to send you information about their products. You have the right at any time to ask us not to contact you or give details to others for these purposes or not to telephone you for sales purposes. You may write to our Marketing Department at the above address if you wish us to stop.